Whilst most managers are adept at doing the day job, they often get little training or support in managing people. 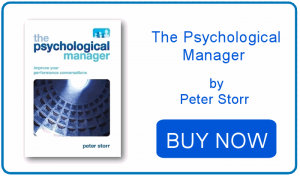 The focus of this book is the attitude – seeing managing people as an important part of the job – and the skills – having structured and meaningful performance and development related conversations with staff. 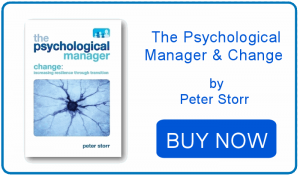 Psychology has a lot to say about people management, and a basic knowledge of the relevant theories can help managers become a Psychological Manager – one who uses that knowledge, attitude and orientation to have better conversations with their staff and ultimately enable their teams to be more productive. Theory is nothing without application, and this book covers the major areas of performance and development conversations; goal setting, feedback, coaching and building teams in a clearly written and accessible format. 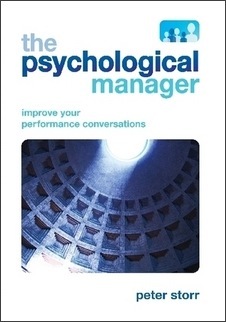 Written by a psychologist for non-psychologists, this book will give managers both the skills and confidence to have more effective management conversations. It has been short-listed for the Chartered Management Institute/British Library Management Book of the Year award, held in January 2013. The second book in the series! Dealing with change and being resilient through are key life key skills, whether we work in an organisation or have just decided to spend 90 years or so on this planet. The problem is, someone forgot to mention this to our brain. We are wired to treat change with kid gloves or even try to ignore it – but certainly, unless we are careful, we treat it as a threat. So we resist it. Which doesn’t really help as it is going to happen anyway. . . This is a book about change. Why it happens, why (and how) we react to it like we do and what we can do to make ourselves (and our teams) more resilient through it. It will tell you a lot about your brain – how fabulous it is and how confused it gets – and through an engaging discussion and practical exercises, it will tell you how you can help it to help you.